The Chinese Leadership Initiative is an annual, four-week leadership development program held on campus. The Hay Project staff, in collaboration with Fr. Hugh O’Donnell, C.M., help to facilitate the Initiative. Participants spend mornings in the classroom and engage in afternoon visits to the city, parishes, social agencies, and religious communities. The participants come to know the face of poverty in the city, interact with the people, and participate in the outreach of local communities to those living in poverty or on the streets. The Church in China rose from the depths of the Cultural Revolution to new life in the 1980s and today is seeking its place in the New China. Some see the people of the new China as the new wineskins Jesus spoke of, able to receive the new wine of the Gospel of peace justice and mutual love. The lived Gospel is the new wine. The Church’s faith is deep, her people are willing, and her challenges are many. The situation calls for compassionate and collaborative leaders with vision. 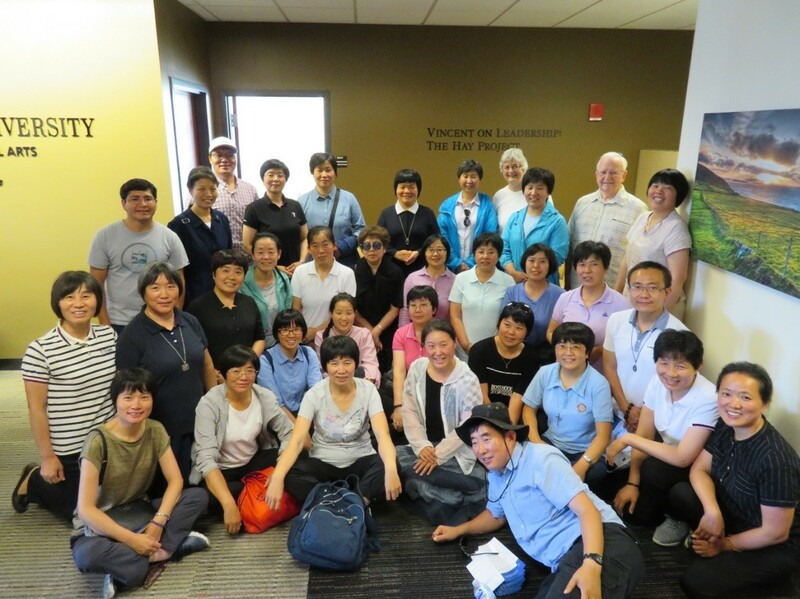 In response to this need, DePaul University, with the Faith Institute for Cultural Studies in Shijuazhuang, Hebei, China, and the Chinese Province of the Congregation of the Mission invited a dozen priests from China in 2012 to a pilot program called The Chinese Leadership Initiative. The success of the pilot program led to a five week program each summer since then for the priests (2013; 2015; 2017) and religious sisters (2014; 2016; 2018). Vocation, Charism, Mission - Our program provides an opportunity for renewing a sense of vocation and mission for priests and the sisters. Spiritual Leadership - Our program puts the sense of self at the heart of leadership. This is a journey flowing from faith, values, freedom, love, vision, and the call to leadership. Relational Leadership - Our vision of leadership is based on listening, empathy, compassion, collaboration and community building, rather than on power and commands. Care for self is the key to care for others. Pastoral and Community Leadership - Our participants dialogue with priests, sisters, and lay ministers in the American church, who share their experiences of success, failure, and the challenges they face as well as the joys and struggles of working together in pastoral ministry. The project is supported financially by the Vincentians and Daughters of Charity, by St. Johns University in New York, and DePaul University, and other donors. Members of the program planning committee include Rev. Hugh O'Donnell, CM; Rev. Joseph Lin, CM; Sr. Patricia Bombard, BVM; director, Vincent on Leadership: The Hay Project at DePaul; Rev. Francis Li, pastor of St. Therese Parish, Chinatown, Chicago; and Professor Li Jin of DePaul's Chinese Studies Program. For more information, please email Fr. Lin at stvincentchina@gmail.com​.